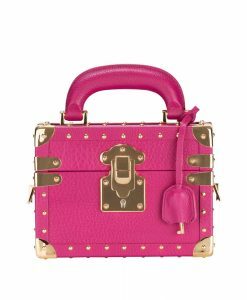 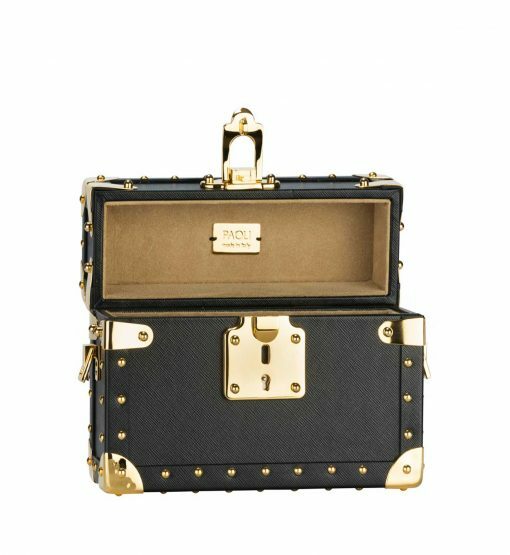 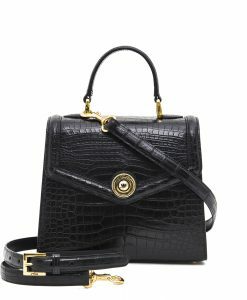 Italian brand Paoli presents its iconic model – Glam mini squared shoulder bag. 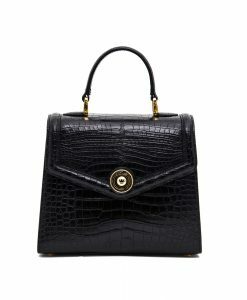 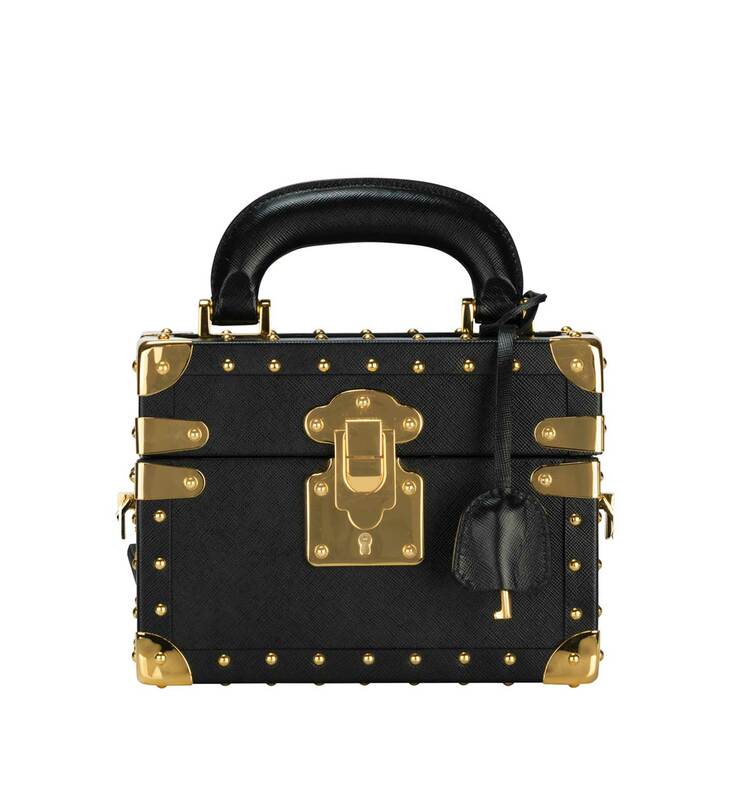 This authentic bag is constructed in wood and covered by a black saffiano leather opening into beige suede interior. 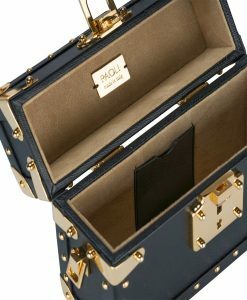 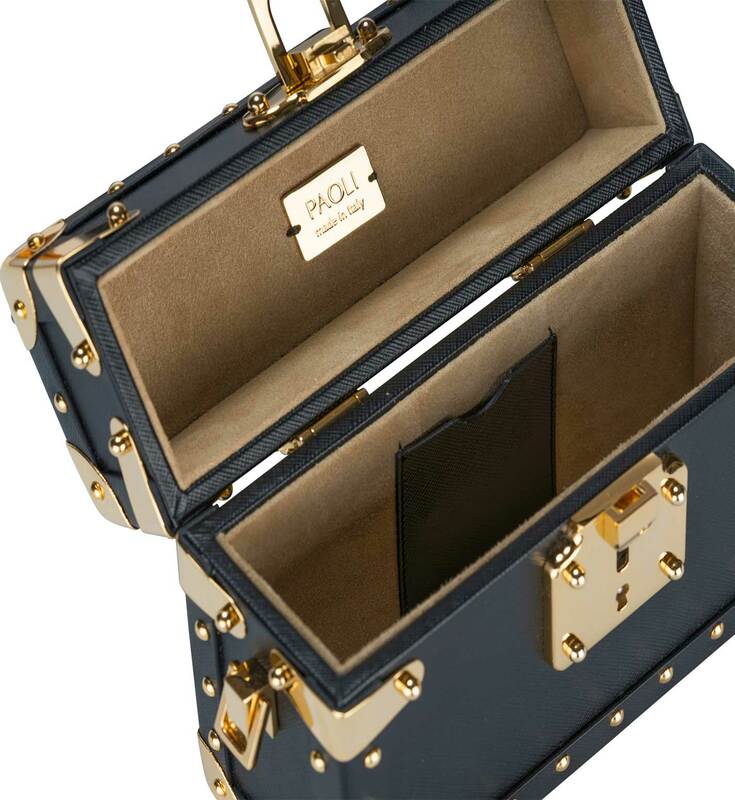 This box style is sized to hold key essentials like your cards, keys, lipstick and cell phone. 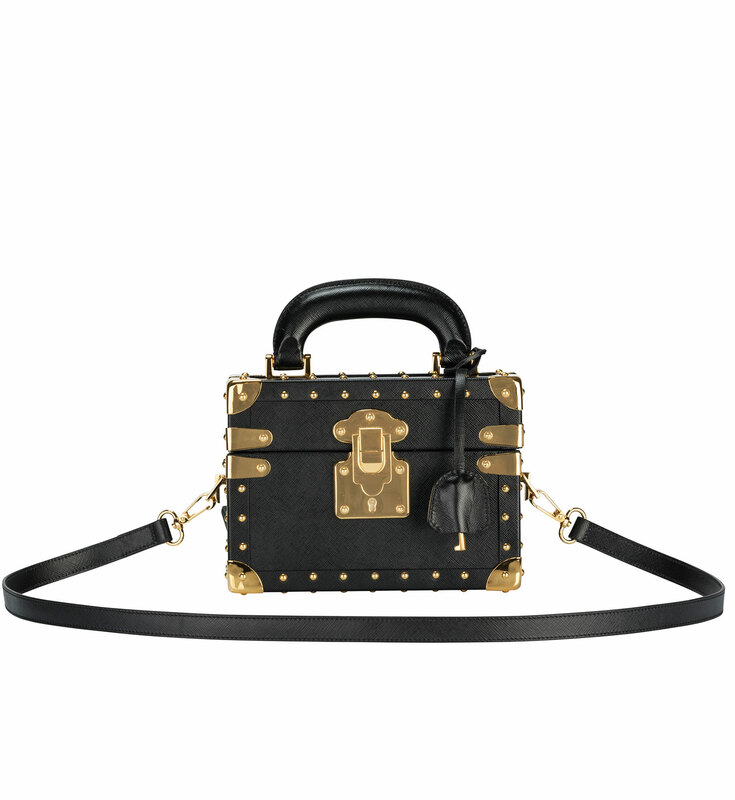 Wear yours cross-body using the detachable leather strap. 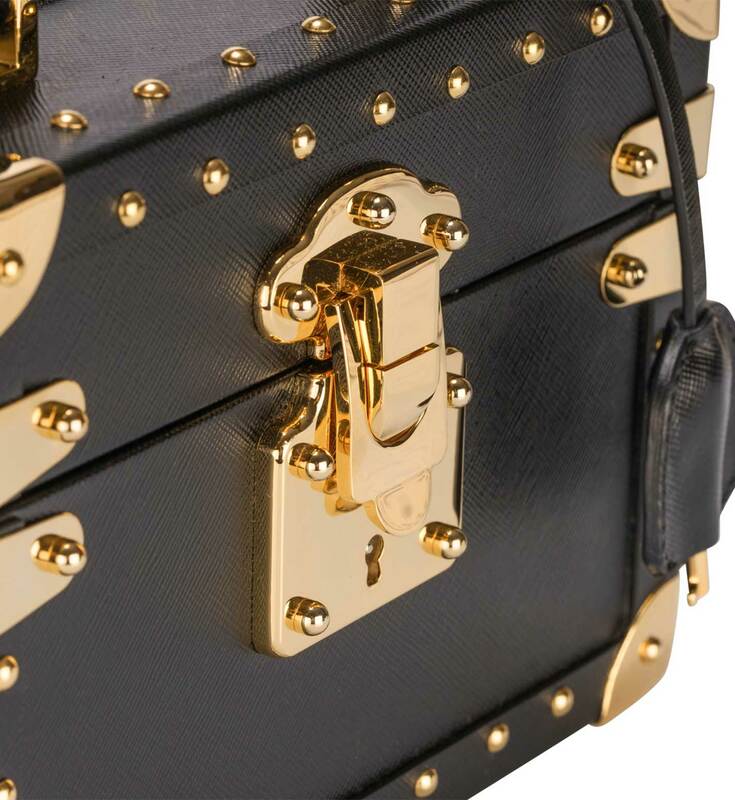 All the golden details are customized and are one of a kind. Glam bag opens on top which is much more comfortable for use.